Ring-tailed lemurs are endemic to the southwestern region of the island of Madagascar off the southwest coast of Africa. The New York Zoological Society (now the Wildlife Conservation Society) introduced the species on St. Catherines Island in 1984 to study breeding and troop behavior. The population on St. Catherines Island exists as the only free-ranging population outside of Madagascar. These original animals came from the Bronx Zoo (six animals: New York, New York) and the Duke Primate Center at Duke University (six animals: Durham, North Carolina). Some lemurs shipped to other locations, and a few other individuals were obtained from various zoos. The highly social species lives in groups, or troops, of up to 30 individuals. On St. Catherines Island, the population subdivided into six troops. Females are dominant in troops. The ring-tailed lemur reproduces readily in captivity and in this free-ranging population. Eighty-three ring-tailed lemurs inhabit St. Catherines Island (as of 18 February 2013). The species can live up to 27 years in captivity—or 16 to 19 years in the wild. 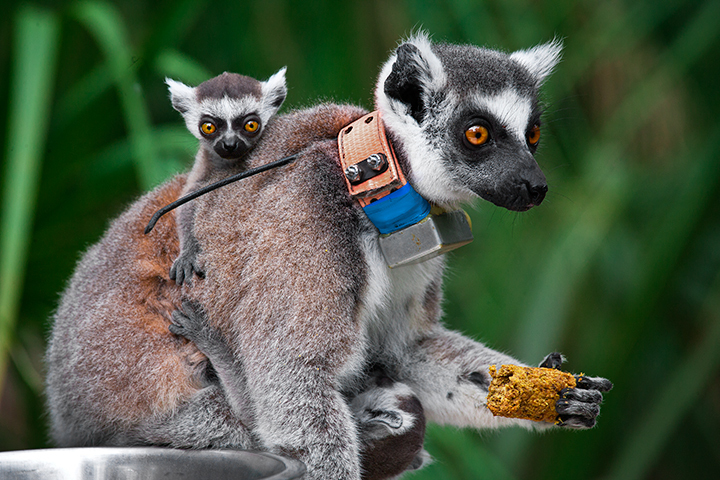 On St. Catherines Island, the oldest lemur is around 20 years old. 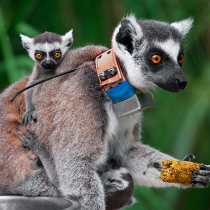 The International Union for Conservation of Nature Red List identifies ring-tailed lemurs as “Near Threatened” based on the assumption that the species depleted by 20–25 percent over the last 24 years due to destruction of habitat and exploitation.